Apple Music update will add audio quality setting | What Hi-Fi? 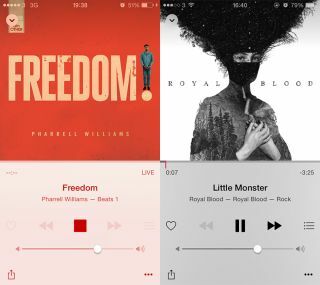 An updated version of Apple Music in iOS 9 will allow you to force music to stream at the highest possible audio quality when streaming over your network connection. This update, which has been spotted in the latest iOS 9 beta by Apple Insider, still keeps the level of control to a minimum, however. For example, there's seemingly no option to set the streaming quality over WiFi, no hint of the streaming bitrate that you're getting, nor any option to set the audio quality to low, medium or high, as is the norm on the likes of Spotify and Tidal. As it is, we're 99% certain the service is streaming at 256kbps AAC, which we're happy to report delivers pretty decent audio quality compared to its main, non-lossless rival, Spotify. Apple iOS 9 is expected to be released later this year.